Pink Egg Media - Let's go somewhere. 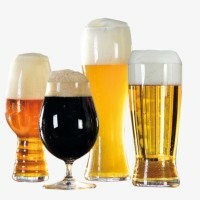 Did you know that most beer can be considered “kosher-style” when it does not contain lactose, gelatin, spices, fruit or fruit syrups! Come celebrate this knew knowledge (unless you knew already, then come celebrate this old knowledge) and Temple Israel as they countdown to their 100th anniversary in 2020. Are you ready for AVENGERS: ENDGAME? 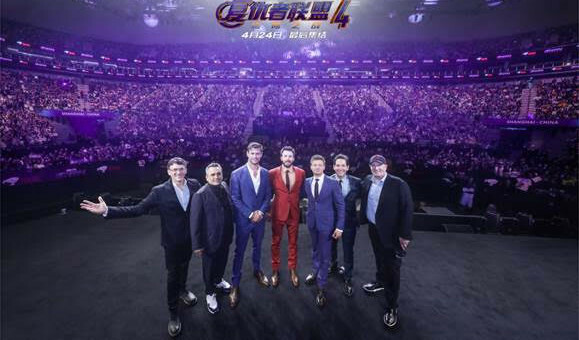 Check these photos of stars, Chris Evans, Chris Hemsworth, Paul Rudd and Jeremy Renner, along with producer Kevin Feige and directors Anthony and Joe Russo, greeted excited fans at a special Marvel Studios’ AVENGERS: ENDGAME fan event held in Shanghai. The San Diego Latino Film Festival shows a variety of themed short film blocks. Every year I make sure to check out one of their showcases. This year I attended Frontera Filmmakers, featuring movies made by directors near our border town of San Diego and Tijuana. The documentary film Nos Llaman Guerreras (They Call Us Warriors) directed by Jennifer Socorro, Edwin Corona and the late David Alonso, centers on the Venezuelan women’s soccer team and their fight to win the first World Cup for their country. What makes these women different from all other female soccer players, they had to fight against their country’s political and economic strife to get there. You may cry some tears as the show deals with tough topics like suicide, depression, anxiety, and divorce. Multiple characters explore the feeling of not belonging regardless of their situation and the everyday persona they present to the world. A great show for parents to watch with their teenagers, if you can get them to be seen in public with you. What does the face of drug addiction look like in the United States? Are they young and white, living in an affluent neighborhood, or a person of color living in the projects? The truth is that drug addiction has no barriers; it can affect anyone who is susceptible to the lures of euphoria and escape. Sweat is a poignant story about a group of steel factory workers living in Reading, Pennsylvania, whose lives are transformed in the midst of a recession. 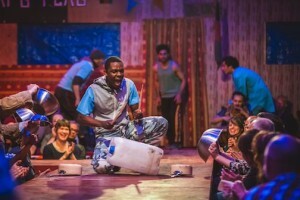 Written by two-time Pulitzer Prize winner Lynn Nottage, the play reveals the chaotic results that stem from insecurities among a group of once tight-knit co-workers, bringing to light their distrust, entitlement issues, prejudices, and their struggle to retain and define the American Dream. The Sisters Brothers gives us a western film with a masculine heart. It includes many western movie tropes such as, gunslinging, whiskey drinking, and saloon entrance making men, but what sets this movie apart from others is that it shows us that there is more to these men, than just their wild ways. The time has finally come where Hollywood is embracing and making movies that older actresses can star in and that audiences want to see on screen. In Bill Holderman’s new film, Book Club, the story centers on four lifelong friends in their 60’s, who decide to read Fifty Shades of Grey for their monthly book club selection and how the book ends up changing their lives. ‘Head Over Heels’ Has Got the Beat! Bay Area the Go-Go’s fans won’t want to miss the new musical ‘Head Over Heels’ playing until May 6 at San Francisco’s Curran Theatre. The show comes to the Bay stage with an impressive team including Tony Award winner Michael Mayer (Hedwig and the Angry Inch, Spring Awakening) as director. CRYSTAL—Cirque du Soleil’s 42nd production and first-ever experience on ice—has arrived in San Jose’s SAP Center until April 1, 2018. In typical Cirque fashion, the show is innovative, visually stunning, funny, and full of imaginative scenarios that only a Cirque show can take you through. The American Conservatory Theater is presenting Qui Nguyen’s “Vietgone,” at the Strand Theater until April 22. The story revolves around how two Vietnamese refugees fall in love, one is a fighter pilot, Quang (James Seol) and the other a U.S. Embassy worker, Tong (Jenelle Chu).